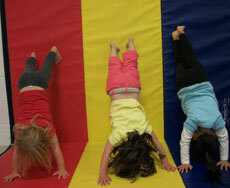 Ninja Stars offers our youngest ninjas with challenging obstacles specifically designed for our youngest ninjas. 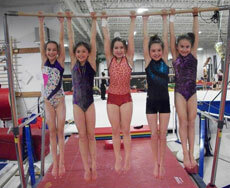 Throughout the session, our five disciplines are introduced: Vaulting, Jumping, Climbing, Swinging, and Tumbling. 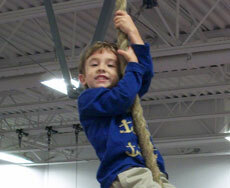 Ninjas will use creativity and problem-solving skills to conquer obstacle courses. Our goal is for ninjas to build a strong foundation of primary skills from each discipline to prepare them for the next level. 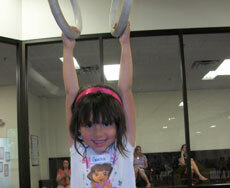 Your child will become a ninja warrior! This class is 1 hour. Tuition is $210 for the 10-week session. 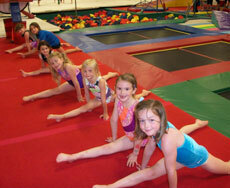 Ninja Warriors is a fundamentals class which focuses on developing well-rounded skill sets. Ninjas will begin to build their Ninja Arsenals, which are their own ongoing lists of skills that they have personally achieved. As their Ninja Arsenals increase, they will conquer obstacles using combinations of mastered skills. This class is 1 hour. Tuition is $210 for the 10-week session. Extreme Ninja Warriors is an advanced-level class for ninjas who are ready to defeat more challenging obstacles! Ninjas will add variety to their Ninja Arsenals using new styles of existing skills. Flips, jumps, and spins will be integrated into skill combinations. This will allow them to create their own obstacle courses out of their Ninja Arsenals. Ninjas will start connecting skills with mind-blowing fluidity! This class is 1 hour. Tuition is $210 for the 10-week session. Ninja Warrior Mastery is a class where ninjas may create their own skills video portfolios throughout the session as their Arsenal Skills are gradually documented on video. They will literally watch their improvement over time! Each class, ninjas will have opportunities to edit and add more skills to their personal skills video portfolios. The main goal is to give ninjas a fun way to display their abilities using a modern approach in technology. This class is 1 hour. Tuition is $210 for the 10-week session. Ninja Warrior Mastery is a class where ninjas may create their own skills video portfolios throughout the session as their Arsenal Skills are gradually documented on video. They will literally watch their improvement over time! Each class, ninjas will have opportunities to edit and add more skills to their personal skills video portfolios. The main goal is to give ninjas a fun way to display their abilities using a modern approach in technology. This class is 1.h hours. Tuition is $260 for the 10-week session. 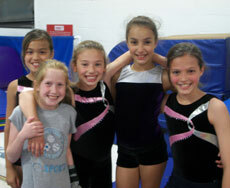 Spring Ninja Weekends: 2/9, 2/23, 3/9, 3/23, 4/6, 4/20, 5/4, 5/18, 5/25 & 6/1.